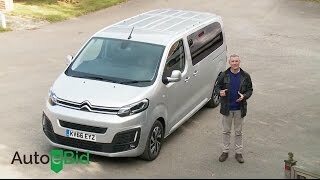 Citroen brings its new model Citroen SpaceTourer 2016 which rides on the EMP2 platform, borrowed from the C4 Picasso and Grand C4 Picasso, and it comes in three versions, XS, M and XL. it promises far greater refinement than the average commercial-vehicle-turned-people-carrier. 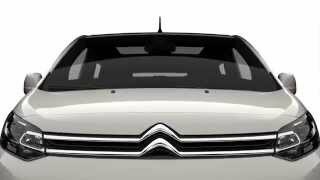 Let us have a close view at the reviews of Citroen SpaceTourer 2016 and get to know more about the details of the model. 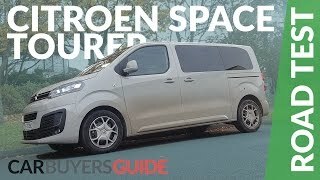 Citroen SpaceTourer 2016 comes with the Boot capacity 1978 liters in the XS with five seats equipped, or 2932 liters in the XL version. Use of the C4 Picasso platform extends to the running gear. It contains sliding seats on rails and reclining backs that can fold down, available in one of the three lengths, with five, seven or eight seats, while the latter is aimed for professional passenger transport use in mind and can seat up to 9 people. Citroen has include a new 7-inch tablet to the list, used to control all the media, navigation and telephone functions, Mirror Screen tech, Connect Nav, head-up display, Park Assist 180°, Grip Control and Smart beam headlight function. In all, it has a well roomy interior with well versed gestures. 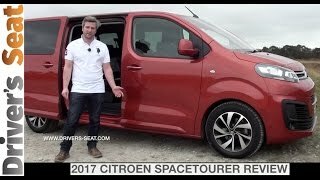 The exterior of Citroen SpaceTourer 2016 comes with superb looks in the category of Vans. It include and free access, which unlocks the sliding door on the driver's side with a simple movement of the foot under the corner of the rear bumper, opening rear window for optimal boot loading, motorized sliding side doors, Claudia black leather trim and the usual audio jack and USB socket. In addition there is Perpendicular LED daytime running lights are incorporated using the fog lamps, giving a bright look to the SpaceTourer but more notably illumination that is superb. There is also a broad tailgate providing you with accessibility to the big boot is offered by the rear end. Citroen SpaceTourer 2016 is available with the BlueHDi diesel burners, with outputs ranging between 95PS (94hp) and 180PS (177hp). It is available with the versions like, XS, M and XL, with a 4.60m, 4.95m and 5.30m long wheelbase, respectively, and a maximum boot volume of 1,978. There are new front and back axles, which mean SpaceTourer can take loads of up to 1,400kg.